Verizon Closes The Yahoo Deal; Yahoo CEO Marissa Mayer Resigns : The Two-Way Verizon has completed its $4.5 billion acquisition of Yahoo, folding it and AOL into a digital media subsidiary called Oath. Mayer is expected to receive a $23 million golden parachute as she exits. Yahoo CEO Marissa Mayer, seen in 2014, wrote a farewell post to employees titled "Nostalgia, Gratitude & Optimism." She signed off with: "Yaho-o-oo! Marissa." The first sentence of Yahoo's Wikipedia page now reads, "Yahoo! Inc. was an American multinational technology company." Yahoo's Internet properties officially became Verizon's properties Tuesday, as the telecom giant finalized its $4.5 billion acquisition. And Marissa Mayer officially became Yahoo's last CEO. She is expected to receive a compensation package of more than $23 million as she exits the company, according to a regulatory filing. Although Mayer's fate under Verizon was uncertain, her resignation was a frequently predicted outcome. The country's largest wireless carrier got Yahoo and its more than 1 billion monthly users at a bargain price following years of turmoil at the Internet provider — high CEO turnover and uncertain direction, culminating in the disclosure (while the merger was pending) of massive data breaches that happened under Mayer. Taking over for Mayer will be former AOL CEO Tim Armstrong. Verizon has placed him at the helm of a new digital subsidiary, called Oath, that will house Yahoo's brands together with the previously acquired AOL brands. These include HuffPost, TechCrunch, Yahoo Sports, Yahoo Finance, Yahoo Mail, Flickr and Tumblr, among others. "Given the inherent changes to my role, I'll be leaving the company," Mayer wrote in a post on Tumblr on Tuesday, titled "Nostalgia, Gratitude & Optimism." 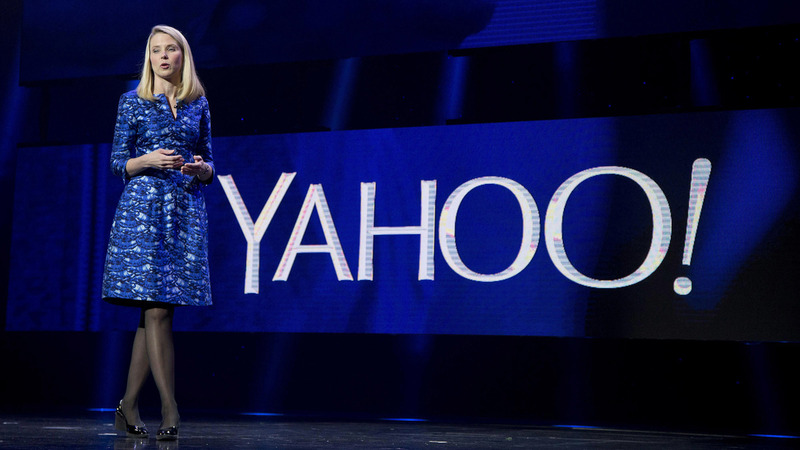 In it, Mayer thanks Yahoo employees and lists various accomplishments in which she says Yahoo's team "rebuilt, reinvented, strengthened, and modernized" the company and its products. "Looking back on my time at Yahoo, we have confronted seemingly insurmountable business challenges, along with many surprise twists and turns," Mayer wrote, signing off with: "Yaho-o-oo! Marissa"
Verizon and Oath confirmed Mayer's departure in the last paragraph of Tuesday's press release about the deal, ending with: "Verizon wishes Mayer well in her future endeavors." The purchase of Yahoo's core Internet business is Verizon's ongoing play to sprawl its digital-media presence and break into the digital-advertising market, where it could become a No. 3 to the dominant duo of Google and Facebook. "Now that the deal is closed, we are excited to set our focus on being the best company for consumer media, and the best partner to our advertising, content and publisher partners," Armstrong said in a statement.